Fall 🍁🍂 is definitely my favorite season for baking! 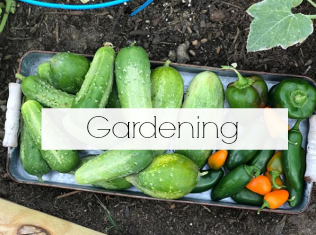 As my summer garden slowly comes to an end, it's time to start looking forward to fall and all it has to offer. As the season changes, fall also brings new in-season produce apples, pumpkins, sweet potatoes and winter squash. Oh, how I love apple and pumpkin season. For me there's nothing more comforting and satisfying than a pantry and freezer full of homemade and home canned items. Bags of summer corn and berries, jams, jellies, preserves, pickles, relishes, and homemade fall butters. I used to purchase store bought apple and pumpkin butter, but that was before I found out how simple it was to make from scratch. If you love apples and pumpkins as much as I do then you're going to love today's recipe for 🍎 Homemade Apple-Pumpkin Butter! This festive fall butter is sweet, creamy and so easy to make in your slow cooker. Just add sliced or diced apples a few spices into your slow cooker the night before and while you sleep your slow cooker does all the work. When you wake up in the morning the aroma of cinnamon and fall will linger throughout your kitchen! At this point all you will need to do is add the pumpkin, remaining ingredients and cook the butter an additional 3-4 hours to reduce and thicken. That's it, now you have a delicious apple, pumpkin sweet spread to enjoy on hot biscuits, toast, scones, bagels or added to desserts, quick breads, cakes and pies. You can even add a bit of the apple-pumpkin butter to pancake and french toast batter for a festive fall breakfast. 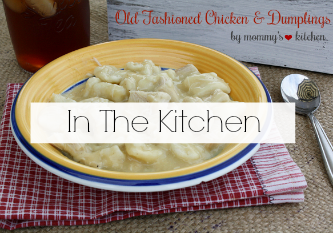 Let's get started on the step-by-step instructions for this simple recipe. To start. peel, core and slice or dice the apples and place in a into a 4 - 6 quart slow cooker. I used an apple peeler that peels, cores and slices the apples. If you don't have one I highly recommend purchasing one, especially if you have a lot of apples or go apple picking every year. I used my casserole slow cooker and it worked out perfectly. Add the apple cider, 1 cup of sugar and 1 teaspoon of cinnamon. Cover and cook on low for 8 hours until the apples are extremely soft (I let mine cook overnight). Remove lid and using a potato masher or a wire whisk, remove any chunks from the apples until the mixture resembles applesauce. Add the pumpkin, brown sugar and remaining 1 tablespoon of cinnamon, pumpkin pie spice, lemon juice and salt. Stir until the mixture is well incorporated. Cook the mixture on low for an additional 3-4 hours (Tilt the lid a bit so the steam can escape) or until the mixture has reduced, thickened up and turned brown in color. Taste the butter and add additional spices if needed. If the pumpkin butter is too thick for your liking, just add a bit of apple cider and blend. If the butter is too thin, just let it cook some more with the lid off so the steam escapes. Transfer the apple pumpkin butter to hot sterilized half pint jars and cool completely to room temperature. Store jars in the refrigerator for up to one month or freeze for up to 6 months. 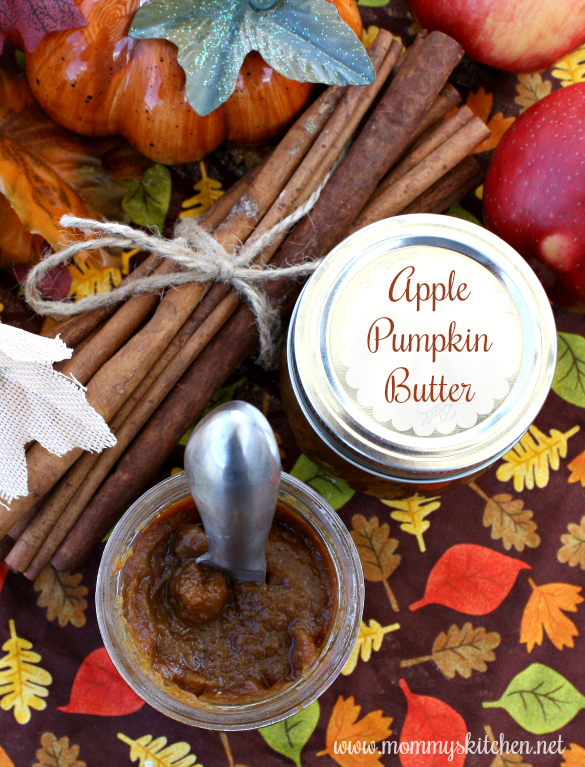 This pumpkin apple butter is the perfect fall treat and makes great holiday gifts. 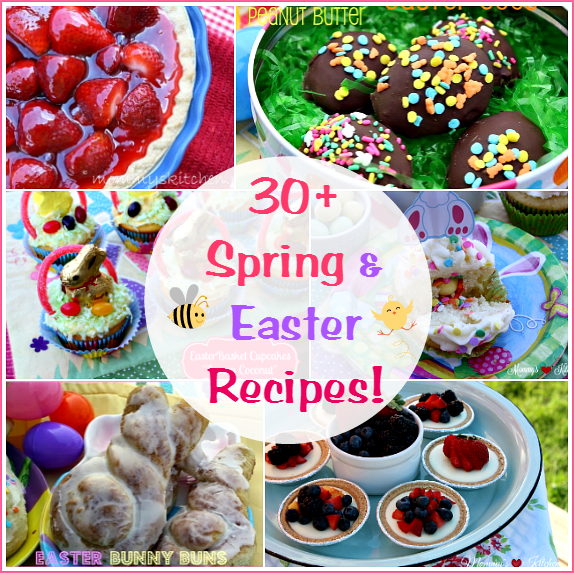 I hope you'll give this recipe a try. Peel, core and slice or dice the apples and place in a into a 4 - 6 quart slow cooker. I used my apple peeler and slicer, so my apples were not diced. Add the apple cider, 1 cup of cane sugar and 1 teaspoon of cinnamon. Cover and cook on low for 8 hours until the apples are extremely soft. Add the pumpkin, brown sugar and remaining 1 tablespoon of cinnamon, pumpkin pie spice, lemon juice and salt. Stir until the mixture is well incorporated. Cook the mixture on low for 3-4 hours (tilt the lid a bit so the steam escapes) or until the mixture has reduced, thickened up and turned very brown in color. Taste the butter and add additional spices if needed. If the pumpkin butter is too thick for your liking, just add a bit of apple cider and blend. If the butter is too thin, just let it cook some more with the lid off so the steam escapes. 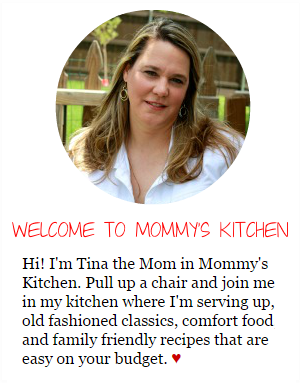 slightly adapted from: Mountain Mama Cooks. Cook's Note: Canning is not recommended for pumpkin butter or any mashed or pureed pumpkin or winter squash. The only safe way to home can pumpkin is in cubes and a pressure can must be used. It's best to freeze pumpkin butter or mashed winter squash. This looks Wonderful and what a great little gift to put in gift baskets. I had just made caramel apple butter last week but will be making this soon. I have that same crockpot and love mine. 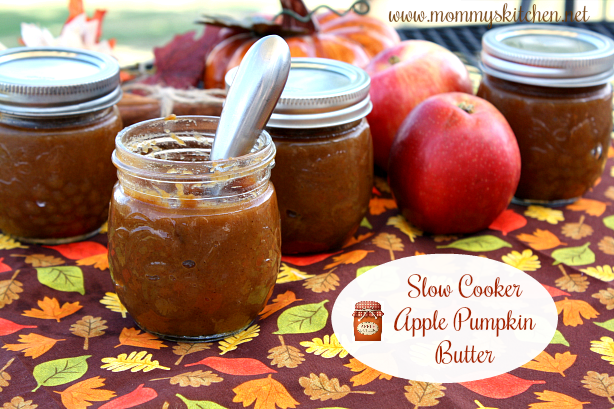 Making apple butter is very easy especially in a crockpot. No excuse it is that easy. Mmm, this looks so delicious. I need to make some apple butter. I would enjoy it on some toast in the morning. I can almost smell the aroma of your pumpkin apple butter simmering away in the slow cooker. Looks so delicious. I've never made it before and I'd love to give it a try. Looks amazing! This would be a perfect treat for the holiday season. Apple butter is a favorite in this family so I am pumped into it will only enhance the flavor. Apple and Pumpkin sound like a great combination.Looks really tempting and a great spread for toast will try this out soon. I am finding so many wonderful uses for my crockpot. I never knew it could be used to make apple butter or in this case apple pumpkin butter. My great grandma used to make apple butter all the time and the mention of it reminds me of her. Oh now this sounds absolutely delicious, what a nice sounding autumn butter to have on toast, I am going to have to try it myself. Colleen can you share your caramel apple butter recipe with us please? I am trying this apple pumpkin butter recipe this weekend Tina. Thank you for sharing.. I love love the apple butter recipe, I made it every October. Yes please. This looks so good. My mom makes great apple butter but has never put pumpkin in it. 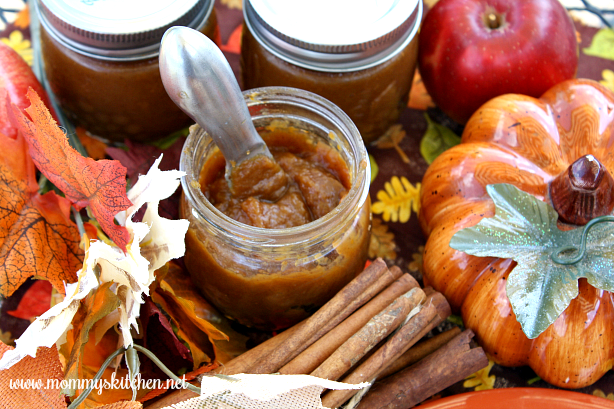 This Spiced Apple Pumpkin Butter looks so delicious and easy to make. 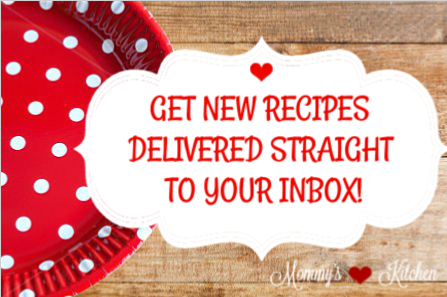 I can think of a bunch of recipes I could use it in. 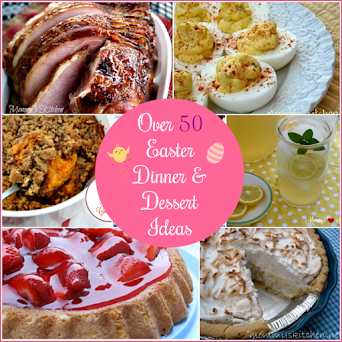 I will have to get the ingredients I need to make some this weekend. I am sure it smells amazing when it is cooking. Wow, this sounds so good and totally doable too. I haven't used my slow cooker in a long time, but I'm pretty sure I could handle making this. I would love to try some apple butter on toast. 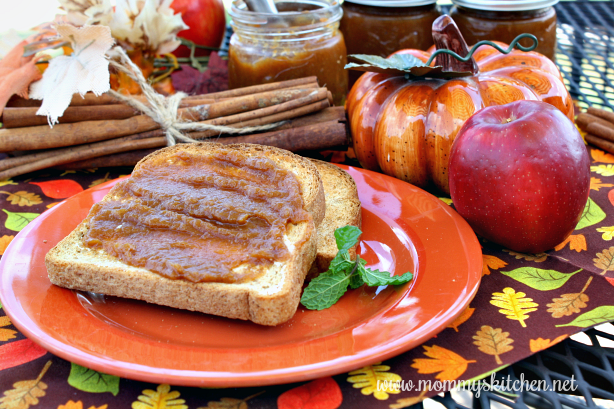 I love apple butter and I love pumpkin butter so I bet this recipe would be amazing!! Thanks for blogging about it! YUM! WOW! That is a MUST TRY for me! I am bookmarking this for the next time I go get groceries. 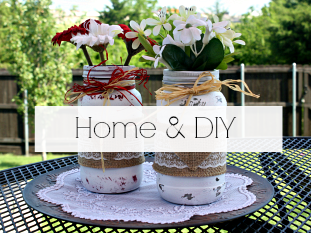 I have a bunch of mason jars calling for something to be put in them! Thanks for sharing. i haven't had pumpkin butter in awhile. This recipe looks so good! Sheila; unless Tina gives me the ok to go ahead and post the Caramel Apple Butter recipe I will do so, OR if you want to, email me at ckb_49@yahoo.com I will email you the recipe. This is exactly the reason why fall is the best season ever! 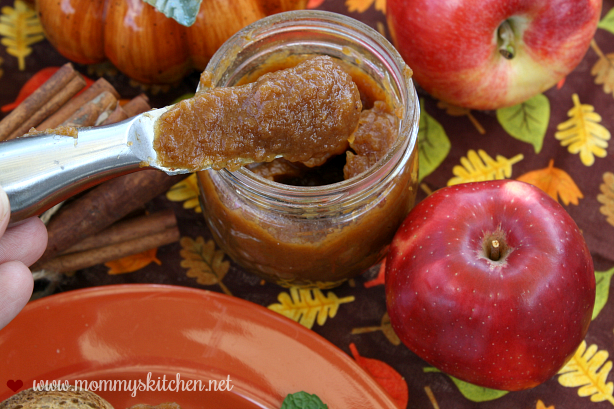 I love all these apple and pumpkin recipes and I am going to make this apple pumpkin butter the soonest. I will make some homemade bread to go with it too. Delicious! Thanks for sharing the recipe. I love Apple Butter so I bet this is really good. I may try to make this for Thanksgiving. This combines two of my favorites! I can't wait to make a batch. It looks so delicious and I'm sure had your house smelling amazing as it cooked. Puree about 3 lbs of apples - (heat, peel, steam, food mill, blender, etc.) - enough to equal 7 cups of puree. Pour into clean, hot sterilized jars, leaving 1/2" head space. Wipe rims with damp clean cloth and seal with standard lids and ring bands. I used 1 1/2 cups sugar; but taste and add to your liking. Once apples are cooked down; remove apples and doing in portions, puree apples in blender or food processor. I used my food processor cause it's larger and can puree more pulp at one time. Once all the apples are pureed add to stock pot; adding in the ginger, cloves, cinnamon and 1 pkg, (13oz.) unwrapped soft caramels;(minus 2 as I ate those :} }. Cook and check the temperature - it should reach at least 140 F, and preferably 165 F.
Pour into clean, sterilized jars; leaving 1/2 inch head space. Wipe rims with damp cloth and seal with standard lid and ring bands. This looks delicious. I want to try this recipe, I love making diy foods for healthier reason. Just finished APPLE PUMPKIN BUTTER - one word "AMAZING" made according to recipe don't need to change a thing - just need to make some more biscuits & will be all set! THIS IS A KEEPER!! @Kathy, I'm so glad you liked it. I've been eating it on toast the last couple mornings. Tonight we had breakfast for dinner and I made french toast and added 3 tablespoons of the apple-pumpkin butter to the french toast batter. It was so good and my family loved it.